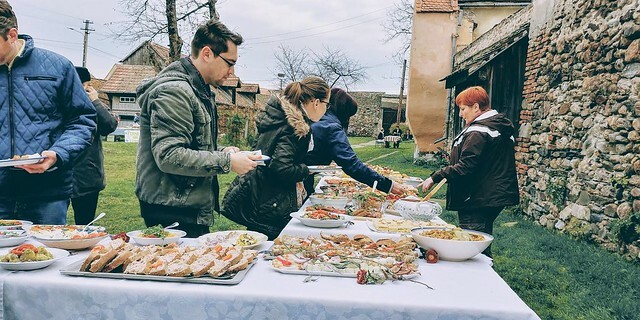 This time, the brunch was organized specially for the Mozaic Jazz Festival, close to Sibiu, in the Cristian village, and the theme was bacon and red onions. Bacon and red onions is actually one of the most common culinary combinations in Transylvania (and in all Romania, actually) and the organizers proposed an experience with old recipes made with local products and with these two beloved ingredients. The brunch was served as a buffet and included plenty of cold specialties, 3 warm main courses, deserts and non alcoholic drinks. For those how wanted to warm themselves, they could taste traditional țuica from Rășinari. Tuica is normally made from plumbs or pears (or basically any other fruit that ferments) and is a traditional alcoholic drink, ranging from 25 to 60 degrees alcohol. One of the highlights of the brunch was the roasted bacon in open fire, which is a very common food for Romanians when going out to a barbecue or just wanting a quick bite when outdoors. 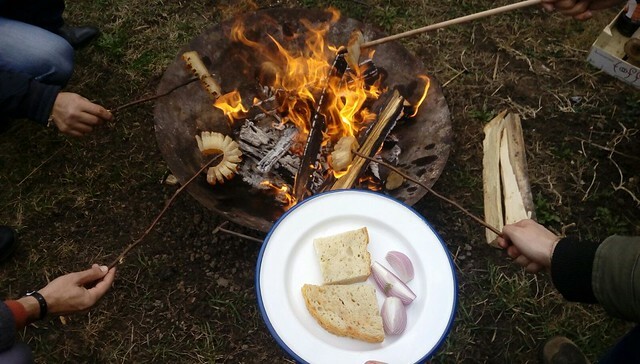 Served with red onion and bread is a delicacy. To make this a complete experience, you have to roast the bacon and all the fat that melts during the process has to be poured on the bread and onions. In the South of Transylvania, bacon was normally covered in a layer of hot paprika powder, not to give it a special taste, but to keep away insects and worms (as there wasn’t any modern refrigeration system available at that time). 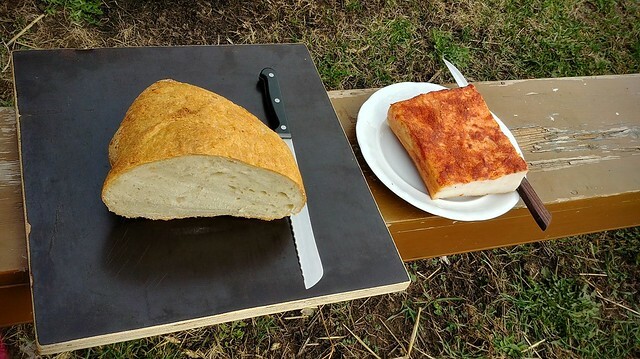 They would smoke the bacon only using beech wood. Having a lot of bacon in Cristian is also because the village had a lot of land to grow potatoes and corn to feed pigs. Cristian (Großau in German) is 10 km West of Sibiu, on the banks of the Cibin River. In medieval times, the place flourished beautifully in Sibiu’s vicinity and became soon the second largest communities in the region. What’s very interesting about Cristian is that, besides the Saxons that lived here from the XII century, in the XVIII century a community of Landlers settled here. They came from the area of Salzkammergut (around Salzburg, in Austria today) and they were sent to this part of Transylvania because they were protestants and the king wanted that all the population of the country to be catholic. They refused to turn to catholicism, so thet were deported. They came on a boat on the Danube river and by horse carriage then, until they reached Cristian, Turnisor and Apoldu de Sus. Of course they were a bit different and a bit stricter than the people who were already living in Cristian. Their clothing was only black and white, they didn’t speak the Saxon language, and at church they sat on separate rows. 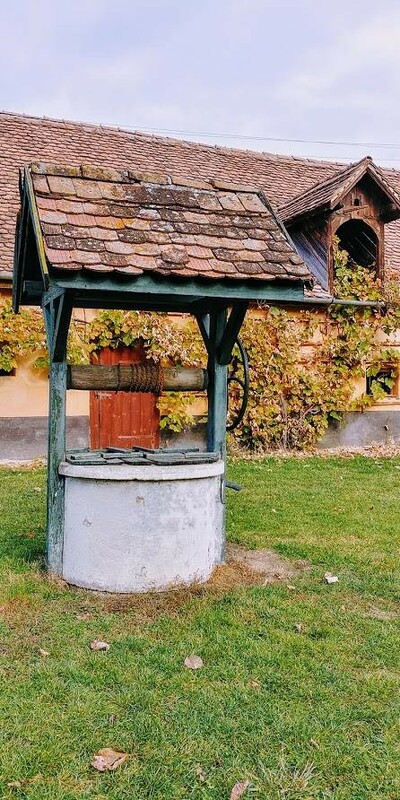 The good thing that they did was that, once coming and settling in this area of Transylvania, they brought with them the Austrian cuisine, which together with so many other influences, creates today the gastronomy culture of Sibiu and its surroundings. The initial Romanesque church suffered during the history a series of changes. In the 14th century a polygonal chancel flanked by two side chapels was added and in 1480 the master-builder Andreas Lapicida coordinated the rising of the side aisles and the substitution of the central nave’s arcades by piers. A late Gothic vault was unfurled over the central nave. The Romanesque western tower was heightened through the annexation of a defense floor, which was later on replaced by the present tower roof. 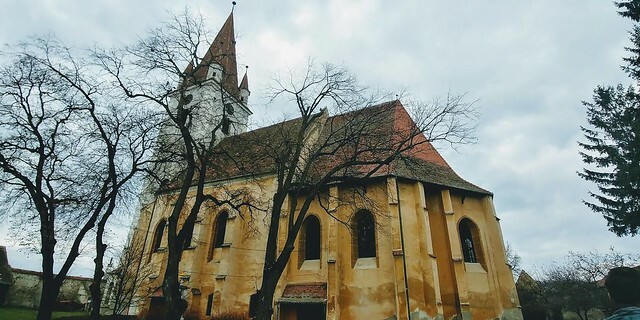 At mid-15th century, the former Romanesque basilica from Cristian was almost entirely redecorated and turned into a Gothic hall church with three naves and a belfry. 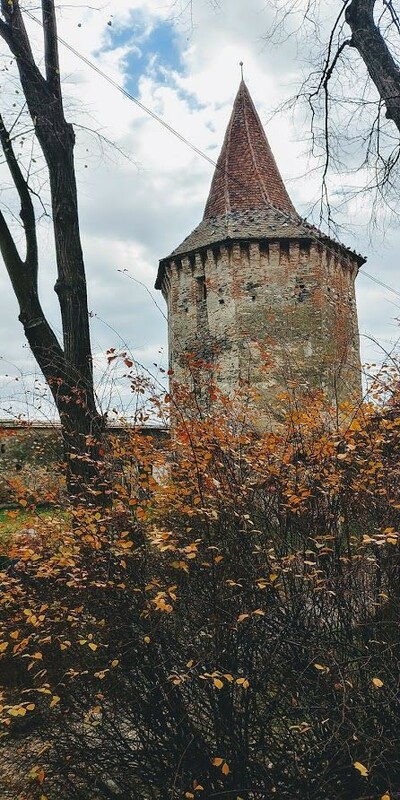 Because the settlement was in an open field and it had difficulties in defending itself from the invaders, the church was surrounded by two defense curtain walls and the exterior wall was equipped with five towers. The double defense wall encloses a small outer ward, which was completed on the northern side with a forecourt around 1550. 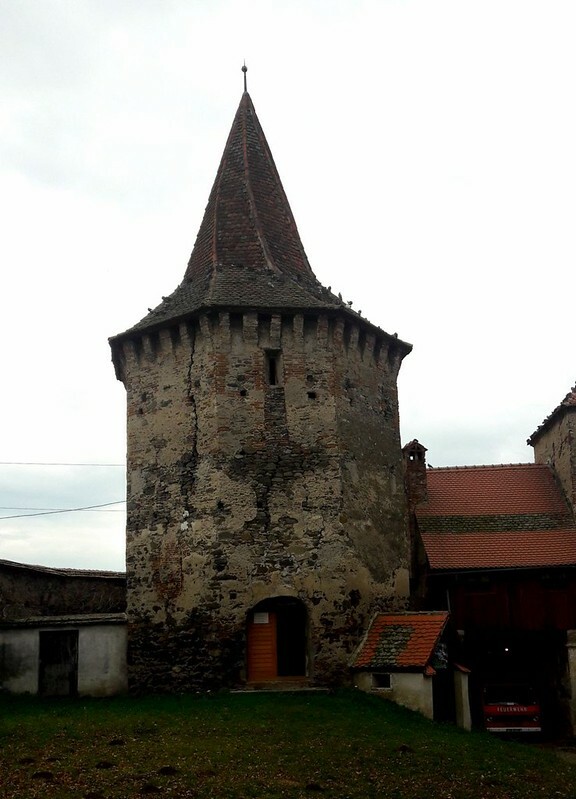 During the attacks, the families would withdraw inside the fortified church and defend it, taking their animals and food with them. A harsh event is said to have occurred here mid-17th Century. 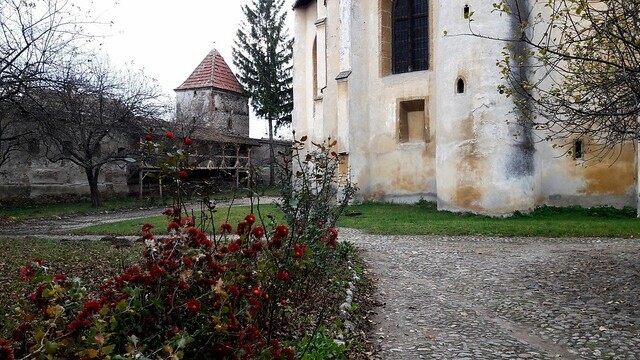 A large ottoman army marching from Sibiu towards Alba Iulia was persuaded by a local noble to spare the fortified church in Cristian. However, when a villager under Bacchus influence suddenly started shooting at the passing troops, they attacked back. 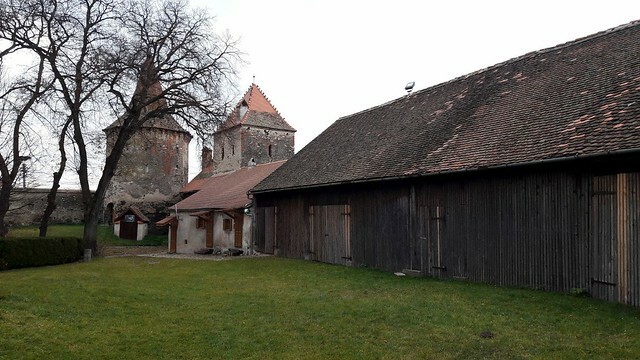 Nevertheless, the army could not occupy the church tower defended by the villagers, so wood and straws have been brought and the building was torched. The people choked to death and the entire village was burned to ashes. The impressive inner furnishing dates back to the 18th century and is dominated by the richly decorated Baroque altar from 1729. After the plague had decimated the residents, Cristian was repopulated starting with 1756, through the colonization of protestants forcefully sent in from the Catholic Vienna. During the plague, the priest held the service from the plaque Avon. A room inside the Parrish house with a very small window facing the Parish yard. The priest would stay inside and the village people would listen to the service from outside, just to make sure that the most important person in the village (the priest) wouldn’t get the plague. The lady taking care of the church will tell you such beautiful stories about the church, the village, about how the people living there got along together, despite their origins. 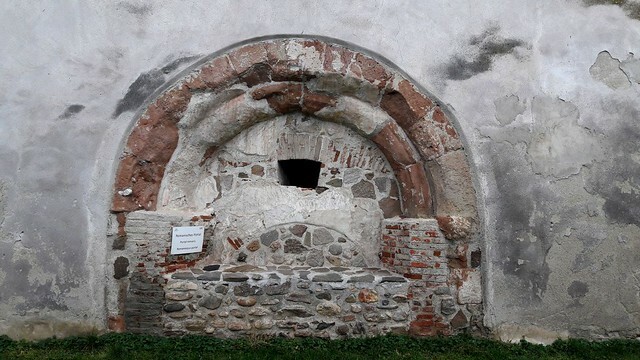 And also about the Bacon Tower of the Church, were the village people would take their meat products and bacon to be kept at a cool temperature and under the priest’s supervision. In those days, people would only be allowed to eat meat only on Sundays after the weekly service. The Church tower has 4 small towers around it, this meaning that the village was a judging court. The priest here could decide the fate of criminals from Cristian, but also from other nearby villages. If you’re visiting Cristian, there are a few things you can do, if you’re not lucky enough to get to a brunch with bacon and red onions. In summer time, from the church tower, if you go up, you can do bird observations. Especially storks, Transylvania being the home of to many storks. More info here. There’s also a bike renting center just across the street from the Church. There is also a very nice bike route from Sibiu – Rasinari – Orlat – Cristian you can try. For accommodation you can try the rooms in the Parrish House or the Spack Guesthouse.